In two weeks time we begin the Christian season of Advent. This season is when Christians prepare for the arrival of their savior Jesus Christ. We eagerly look forward to Christmas as a time of celebration and gift giving. And the end of another year will be greeted by many as relief from the tumult of 2016. But if you are like me, you are already breathing a sigh of relief for those things which have been completed recently, like the end of the academic year. Finally, students and teachers can catch up with friends and housework, and some of us will be looking forward to returning to families and friends in our home islands. Congratulations to all graduates and those who just completed their exams. So in Advent, we await the arrival of our Lord and Savior who will come to deliver us and set us free. But in the meantime, we must finish our exams, make travel plans, and do all those day-to-day things which keep life moving forward for ourselves, our families, and the others who depend on us in the workplace and home. This is not simply how we live our daily lives, but also how live our Christian faith – working and struggling day-by-day, but also with keen anticipation of the Kingdom of God to come. In the last week, Americans have already experienced the end of a season like Advent, the period of waiting to see who their new President would be. For some, the election of the Republican Party candidate Donald Trump was a catastrophe, while for others it delivers something like a savior figure. This election has dominated the news for months. With President Obama being ineligible for re-election, both the Democratic and Republican Parties had to find candidates to contest this election. Trump’s election as the Republican nominee and then election to the presidency has shocked the world. Many people are asking: “Is the best person American can find to run their country?” Prophets of doom see this as the end of the world, or the end of the United States as we know it. Trump has said that climate change is a hoax by the Chinese. This cannot be taken too literally – it is surely an example of nasty election rhetoric designed to be anti-Chinese, while appealing to uneducated climate deniers for votes. Nonetheless, his approach to climate change is not encouraging. And the Pacific region, being very vulnerable to the effects of more intense cyclones and sea-level rise, needs to be very concerned. Secondly, Trump is anti-globalization. He is against free-trade and movement of jobs to other countries. This might mean that Pacific countries find it harder to sell their goods to America. This might hurt the Pacific’s export industries. However, if this move by Trump curtails global trade, then it might have a small positive result for climate change. But my task this morning is not to offer political analysis, but to examine our scripture readings to see what light the light of God can shed on our new global political situation. Our scripture readings this morning are timely reminders of both catastrophes Christians can expect to live through and God’s peaceable Kingdom. Beginning with our reading from Isaiah 65, we have a radical vision of peace and harmony; one which continues to offer hope in troubled times. In this new earth we find the famous image of the wolf and the lamb feeding together. That is Isaiah’s vision of God’s new rule of the world. “For I am about to create a new America; the former things of Obama shall not be remembered”. “They shall build houses and inhabit them; they shall plant vineyards and eat their fruit. They shall not build and another inhabit; they shall not plant and another eat”. I admit that this is a somewhat playful approach to reading scripture and applying it to today’s political situation. But sadly today, much of our political language is a distortion of our theological language and Christian truths. This is a trap for Christians, as what sounds like biblical Christian teaching can be subtly distorted for political ends. In Isaiah’s vision, it is God alone who establishes peace and harmony. It is not the construction of any human ruler, but it is God’s new creation by God’s own initiative. It cannot be achieved by any Presidential election or governmental decree. God’s new creation is from God alone. We must not confuse it with anything worldly politics can achieve. The Psalm set for today – Psalm 98 – also celebrates God’s rule. Looking at God’s divine rule, which we can glimpse through the Psalms and others parts of the Bible, has inspired Christian rulers across the ages for their own rule. Psalm 98 speaks of the universality of God’s rule – God rules over all the earth. God’s rule transcends national boundaries and is not limited to one people, nation, or region. The God of Israel is the God of the whole earth. This God rules all, and will come to judge all. Again, we can contrast God’s rule with the earthly ruler, who by necessity and design, rules just for the interests of their nation, and sometimes only in the interests of certain classes or races. The worst rulers rule predominantly in their own interest. God’s judgment, the model for sound political judgment, is equitable and righteous. This is God’s justice, which will be fully revealed when God comes to rule. This is our expectation and our hope. In the times before that final judgment, we can hope that our leaders take note and judge in the way they would like to be judged by God. Sadly many, if not most, of our rulers, even Christian ones, fall well short of this ideal. This vision of final judgment at the end of times may seem far off in the future. But for those in the Pacific facing the impact of climate change and the destruction of our fisheries and forests, it can appear that the end times are drawing close. Christ paints a picture of the end times – with times of conflict, war, and persecution – in our reading from Luke this morning. Luke’s vision of persecution is a reminder of God’s care for us and a further reminder of the differences between earthly rule and God’s rule. In the face of conflict with authorities, who violently persecute them, Christians are not to defend themselves using violence. Or even prepare elaborate spoken defenses. Their only defense is the word that comes from God. Against the kings and governors and their prisons, we have the word of God. That word, with its power to create and destroy, is more powerful than death. Jesus reassures us that in any battle with political power, we may die, but we will not perish. Our identity as Christians and followers of Christ does not permit violence against those who make an enemy of us, but ultimate victory over them is assured. Some would say that an alternative politics of identity can be seen in the recent developments in the United Kingdom with its vote to leave the European Union and in the election of Trump. This is seen in the slogans “England for the English”, and “America for the Americans”, and in Australia in the resurgence of Pauline Hanson’s One Nation party. These events are united by an identity politics of exclusion of the outsider, whereby race and ethnicity and language groups seek to claim some status that defines who is in and who is out. This is the politics of nativism – an ideology which favors the local people or natives over those who are outside. For some, this is a necessary correction, in which locals or indigenous people can reassert their power against globalization or even imperialism. But in other ways, these categories are reinforced and entrench divisions between people, that some people are worth more than others. In the wake of the Brexit vote and Trump’s election, the UK and the USA have seen violence against minority groups in these countries escalate. Brexit and Trump’s rise to power have given implicit permission for hate to rise in the hearts of men and women. The haters have been emboldened by leaders who wish to throw out the constraints of human decency and compassion and appeal to the lowest base urges of human behavior. In the Pacific, we might think ourselves isolated from these sorts of events. But we need to be vigilant that the politics of hate and exclusion do not take root in our countries. For almost 30 years Fiji has witnessed harmful identity politics of race and exclusion. With perceived threats to the Pacific way of life from globalization or neo-colonization and environmental harm, it becomes easy to focus blame for political corruption and economic exploitation on outsiders and their perverse cultures. It would be tempting to find one’s identity in opposition to the forces of modernity globalization in nationalism and a retreat into one’s culture. But, the feeling that our lives would be better without the outsider and that we don’t need them is a sinful temptation. Christianity teaches the universal brotherhood and sisterhood of humanity. We need the other in order to show love. Without someone to love we cannot uphold Christ’s commandment to love our neighbor. It is easy to return love to those who love us. But as Jesus says there is no merit in that. Christ-like love loves the neighbor and even our enemies. We do not have love unless we can do that. Christ himself associated himself with the tax collector and collaborators with Roman occupying powers. In doing so, he transformed them and his identity was itself transformed at times by encountering the outsider. Our trust in God’s word and Jesus’ command is the basis of our identity as Christians. Our identity as Christians, Christ warns his listeners, comes from his name, as it says in Luke 21:17. This identity can put us into conflict with religious authorities, political authorities and even our cultures, as represented by our “relatives and friends” (21:16). Our Christian identity is one we should be proud to have and one that makes other identities secondary. We have our identity in Christ. Part of the Christian identity relates to fear. Two of our readings this morning tell us not to be afraid. Isaiah 12:2 reminds us that surely God is our salvation. We will trust in God, and will not be afraid. And in Luke’s gospel (21:9), Christ tells us not to be terrified of wars and insurrections, because they will pass and soon afterwards, Christ will return. It is difficult not to be afraid for those things we hold dear in times of trouble. People’s lives are at risk from the forces unleashed by Trump’s election and Brexit. They are afraid and justifiably so. What word does the church have for them? When people’s lives are in danger, pious platitudes will not do. We need to speak and act in ways that show our hatred of evil and our love of others. Christ’s words from Luke are reassuring, when he indicates that this time will pass. But the question for us is: “How shall Christians pass this time?” Shall we pass it behind locked doors and gated compounds? Shall we pass it in isolation from minority groups who are suffering the outpouring of hate, such as Muslims, homosexuals, and immigrants? No We shall pass that time alongside them as neighbors and friends. Christians cannot sit aside and allow hate to win. Christians must be prepared to be among the hated, rather than among the haters. Therein lies our imitation of Christ in these troubled times when politicians wish to build walls to exclude and shame others in need. That is the identity we are given through our baptism into the church of Jesus Christ, and one that we share with Christians of all colors and nations. 1 The vision of Isaiah son of Amoz, which he saw concerning Judah and Jerusalem in the days of Uzziah, Jotham, Ahaz, and Hezekiah, kings of Judah. I was not scheduled to be doing chapel today and this is not the scheduled reading either. The original reading assigned for today was one on which I have already preached, so I swapped it for this one from Isaiah. I imagine that this is not a popular reading in the church, but I assure you that it’s on the lectionary. The reasons why I think this reading is not popular should be self-evident. Why should we gather to worship and praise God and then read that God hates our “solemn assemblies”? Another reason this text might not be popular is that it might be described as self-preaching – in other words it is a text that preaches itself. The message appears so obvious that, once read, the preacher is left with little to do. But is that really the case? This sets the tone and outlines the message to come, that combining pride and vanity with disregard for the poor and needy is sure to gain God’s condemnation. God rejects the sacrifices of such people. Their feasts are worthless. Their worship meaningless. The temptation we all face, reading this in our own solemn assembly, is to read this as God addressing bad people who have turned away and who yet strive to be justified by God through worship, rituals and sacrifices and nice words about God. Such harsh judgments are not for us; they are for other so-called “Christians” who have blood on their hands and do not worship with a good clean conscience. We are better than them surely? Aren’t we? Let’s read further. In verse 12 God speaks “When you come to appear before me”. This is indicative of the attitude of the hypocrites. They come to appear before God as though God is somewhere where we can go to present ourselves to God. But God does not live in some temple or church. God is everywhere, and sees our corruption day by day. God sees both the bad we do and good we left undone. God also sees how we try to present ourselves in church on Sunday, wearing our best clothes and carrying our Bibles as though God will be pleased that we have ironed our shirt or dress, placed some money in the collection plate, and sung in the choir. No! God is not impressed by our staged appearances. We are before God all the time. What, then, is the point of all these pretensions and posturing before God? Is it self-justification? Are we trying to cover up our sins? If so, we take the Lord’s name in vain – we utter the right words, but have instrumentalized worship and in doing so we reduce God to be something less than God. If we do this, we are trusting in our works and deeds more than God. And we have created a reason for worshiping God. This is should be a great caution in our nations today. There are false prophets and pastors offering reasons to come to their church. 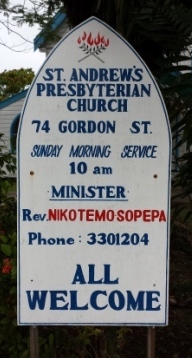 “Come to my church and be blessed”, they might say. Or, “Come to my church and be healed”, or “Come and gain a new purpose in life”. But the truth is that we cannot make true worship serve us and our needs; true worship serves only God, it cannot be made by humans into something that benefits us. To make ourselves into the end or point of worship, inevitably means turning God into a mere means. This does not mean that we cannot enjoy worship or that we get nothing out of it. But anything we get from worship must not be sought intentionally, even with a good will. Anything we gain from worship must come as the free gift we receive from God when we serve and worship him alone. It cannot be promised, anticipated, or manufactured in advance. Further on, we read that “bringing offerings is futile; incense is an abomination to me.” Here we see God making a double criticism of our worship. 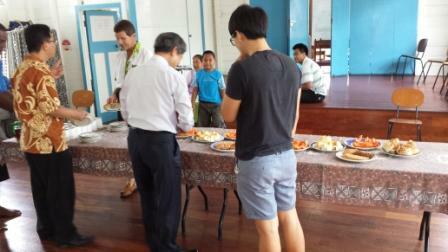 Bringing our offerings to God is important. It helps the church and the needy, and puts money in its rightful place as something we can freely part with. But if we are giving to bribe God to turn a blind eye to our sins, we are fools. We cannot bribe God. God sees through such shallowness. God doesn’t want or need our money. God wants our lives. As Jesus said, we should love God with all our heart and with all our soul and with all our mind (Matthew 22:37). In other words God wants our whole being to be be focused on God. Incense, as used in worship, is sometimes thought of as carrying our prayers up to God. But the real use of incense was to mask the stench of a sinful humanity. But incense cannot disguise our sin from God. God sees our sinful hearts directly and cannot be deceived in this way. Incense cannot shield the stench of our hypocrisy or be a smoke screen to hide our iniquities. To think we can hide our sins from God is to only fool ourselves. When we persist in our hypocrisy God even indicates that God will turn away from our us, even if we reach out to God and say our pious prayers. God will fall silent in face of our hypocritical piety. But we should not despair, God’s silence can be broken when we return to God in due humility. We can and must try to break God’s silence toward us through repentance and true worship. How can we do that? In verse 16 we see God demand that we clean ourselves up before he will turn to us. We must repent. The verse reads “Wash yourselves; make yourselves clean”. This poses a theological problem. Can we really cleanse ourselves in such a way as to be acceptable to God? Christians usually say that we are washed clean in our baptism, or by the sacrifice of Jesus on the cross. Isn’t it Christ alone who can wash us clean and make us whole? Christianity rejects the idea that we can reach up to God through any human means. This is what seems to be denied by the first half of our reading which condemns our human efforts at self-justification. Rather God reaches down to us to bring us to him. Martin Luther, no fan of salvation through works, simply states that this verse says that we should follow the advice of the Psalmist in 37:27: “Depart from evil, and do good”. That is what is required. We clean ourselves up by turning from evil and doing good. And we can always make a fresh start in doing so. We must turn from evil. That is the first step – do no harm and refrain from evil. But this is not enough. We must pursue the good and justice. This is obedience to God. Well I could end here and my message would have been simply that we ought to worship with right intention, avoid evil and do good. We might add at this point that the ancient Israelites were foolish to try to justify themselves and deceive God. We might be tempted to think that we are better than them. But before we pat ourselves on the back, we should make sure that we don’t commit a worse sin. In their attempts to be justified, the Israelites were addressing God, and in doing so were at least recognizing God’s importance. A potentially worse sin is when we try to justify ourselves in the eyes of other people. It is one thing to try to justify oneself before God. It is worse to ignore God and try to justify oneself before one’s peers, leaving God out of the picture altogether. This happens when we try to keep up appearances and live in line with human values and rules. But adherence to cultural and social norms which place us right in the eyes of our neighbor does not put us right with God. God is not deceived by this posture. It creates another god to which we give all of our selves. This god could be culture, money, technology, or work. But neither God nor society are deceived by this stance either. Let’s focus on the one true God with our whole being, avoid evil and do as much good as we can under the continual guidance on God, Father, Son, and Holy Spirit. Our reading today from Acts continues the story we have been reading in this Easter season. It is the story of the healing of the lame man and its aftermath, which results in the arrest of the apostles Peter and John and threat to their lives. The story begins quite innocently with Peter and John going to prayer hour in the temple. As they approach the temple gate, Peter and John pause and heal the man who they see sitting there. One thing leads to another and they get arrested for preaching the message of Jesus Christ. It is worth noting that they travel together, as was their habit following their training by Christ. Apostles travel together because you cannot be a Christian on your own, it being impossible to fulfill the commandment to love one another by yourself. Our new life in Christ is not only a personal transformation but should be visible in the our lives together. The question is ambiguous. Do what? The healing of the man, or preaching, or converting thousands? Or perhaps all of these? Peter does not ask for clarification, but takes the initiative and expresses his opinion of the ambiguity in his reply. In fact, it is not so much a reply that dignifies the question, it is a more a continuation of the preaching that landed them in trouble in the first place. John Calvin in his commentary on this passage reminds us that this is the same Peter who denied Christ and ran from the Cross. He was a timid man and would have usually run from this situation or wilted in front of such a hostile crowd. But with the power of the Holy Spirit he goes on the offensive. Does he answer the question? He names Christ as both the healer and savior. Christ the healer and the savior are inseparable. This is demonstrated in the apostles’ actions of healing and preaching salvation. The order here should not be overlooked. They perform an act of pity and charity and heal the man, they follow this by preaching the word about Christ. This is a sound missiological approach – act first and then speak. By what power or name have you done this? The implication of this question of the priests, is that the disciples, as mere men could not have done this miracle by themselves. In this the rulers are right, but in seeking the name of another power other than the men, their own words condemn them, as they fail to recognize that it is their own God who had done this great thing. I don’t know why this miracle is not talked about more often. Perhaps it is because the man remains nameless in the narrative. But I think the real reason is that Jesus did not perform this miracle directly. Yet for us today it remains an important miracle story. This is an example of the imitation of Christ by his disciples. We are closer to Peter than we think, like Peter, we have been called into the discipleship of Jesus, and like Peter we are sinners and Christ deniers. While the healed man is sometimes forgotten, this passage is justifiably famous for its mention of Christ as the cornerstone that the builders had rejected. This is a quote from Psalm 118, and the Jewish leaders would have known this passage well. Using the passage in this way was inflammatory. But sometimes the truth upsets, such as it did here. 6 With the LORD on my side I do not fear. What can mortals do to me? than to put confidence in mortals. In the name of the Lord, Peter and John cut their accusers off. In doing they too are exemplars of the faith we confess. The more I read the book of the Acts I more strongly I believe that it is an underrated book – in the Gospels we learn from Christ directly about discipleship, but in Acts we see how flawed, sinful apostles put this into practice. Emboldened by the resurrection of their leader Jesus who conquered the power of death, the Apostles remain fearless in the face of possible death at the hands of the religious and political authorities. Our Christian leaders who in urge obedience to the religious and political leaders and object to civil disobedience or even speaking truth to power, should study this text more closely. Peter’s speech, which comes of the Holy Spirit, is not a speech of deference. It is one of defiance that attacks rather than defends. When the actions and words of Christ are frustrated by men and women the Holy Spirit can use us to break through the blockages. Some will find in this promise of Christ reassurance that the Holy Spirit will be with us in such times. But we should also wonder that if aren’t being dragged before the rulers and the authorities perhaps we aren’t following Jesus where we should be. Following the example of Peter and John, on the way to church and chapel we should be looking down to the lame and lonely, not only skyward to the heavens. Through faith we can follow Christ to the lame at the gate, and we can stand tall as Christians in front of our opponents who are blind to the works of God before them. But wherever God’s leads us, we can be assured of the presence of the Holy Spirit empowering us for God’s work in the world. This is the promise of God. Amen. No man can be a true Radical who is not a Christian. Christianity is the only power on earth which has ever imposed as a law this total extinction of evil, which has ever inexorably divided all nations and things into two classes only, such as are for the glory of God, and such as are not; such as serve God, and such as serve Mammon. Christianity knows nothing of indifferent actions; it has no neuter gender as it were – whatsoever is not wheat for it, is tares. This post is merely to provide useful information to visitors and new residents of Suva. I had trouble finding out the time of Sunday worship at St Andrews, so I’m happy to share this information with readers. Sunday worship is at 10am. 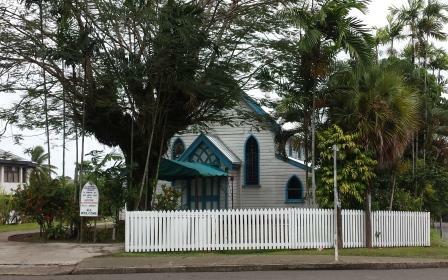 The church is located at 74 Gordon St Suva, Fiji. It’s well worth staying behind in the hall afterwards for morning tea. Morning tea with bread, fruit, and biscuits. Dietrich Bonhoeffer solves church fossil fuel divestment issue – “The church is church only when it is there for others. As a first step it must give away all its property to those in need.”, Letters and Papers from Prison (DBWE, 503). There has lately been a violent endeavour, on the part of the British middle classes, to obtain University education for all their children,’ evidently in the idea that, with such advantages, every member of their families must become distinguished, or rich. The St George’s Guild offers no such bribe to its scholars, and entertains no such hopes for them. But it proposes a University education, wide as the fields, true as the laws, and fruitful as the roots of the earth, to all, without distinction, who desire to enjoy the happiness proper to men, and to fulfil the duties assigned to them. The Church’s great concern is to justify what man and the world are doing. This is just like olden times, except that it is no longer the same things which are being justified. Instead of the royal power, the patriarchal family, feminine servitude, worldly morality, etc., the things now being justified are science, technology, world management, politics, and the big city. The latest fabulous example of justification is Harvey Cox’s celebrated book, The Secular City. It is hard to believe that a book so feebly thought through, so loaded with historical error, so sociologically and theologically superficial, so ordinary, with its repetition of all the commonplaces about secularization and the profane, and lacking in any depth in the subject, that a book so dubious in its historical analyses and so generalized in its sociology—that such a book would enjoy such a success. Just one thing explains it; it offers the public a justification for what is going on in the world, for what man is in process of doing. It is true that modern man in his most fallen aspect wants exactly above everything else that someone should come along to tell him that he is right in doing what he is doing. That was the springboard for all the propaganda. From the standpoint of ideology and publicity, The Secular City is a great book. Here again, for the hundredth time, I call attention to the fact that to condemn the act of justifying is not, to my mind, the same as to condemn what is being done in society, in science, and in technology. I have never condemned these! It supplies precisely the “solemn complement” (that Marx rightly accuses religion of supplying). Urban anonymity? That is great. That is freedom. Urban mobility is admirable, the very condition of progress. Pragmatism conforms to God’s way of acting. The profane accords with God’s will. The secular city is the meeting place of man and God. Since man’s technological power is constantly increasing, the Church’s message consists in giving assurance that it is up to man to create his own destiny. This is a tissue of commonplaces, all of which are entirely nonbiblical, and are rooted in an imaginary factor in modern society. Here is where theology does indeed become a completely futile superstructure. Yet, as Marx rightly said time and again, no matter how futile and tasteless it might be, it nevertheless turns into a deadly poison, in that it prevents man from seeing things as they really are. It causes him to live an illusion and to turn his back upon the real. The Secular City is the prime example, for our modern society, of the opiate of the people. To look at many Christians who are soft and effeminate and sweet one would think that their ambition is to be the honeypot of the world. They sweeten and sugar the bitterness of life with an all too easy conception of a loving God. They soften the harshness of guilt with an appallingly childish romanticism. They have retouched hell out of existence and only heaven is on the horizon. When it comes to the devil and temptation they stick their heads in the sand and they go about with a constant, set smile on their faces, pretending that they have overcome the world. For them the kingdom of God, that comes with the savage agonies and travail of history, the excesses of the Anti-christ, and the groans of martyrs, has become an innocuous garden of flowers and their faith a sweet honey they gather from its blossoms. And this is also the reason why the world turns away, sickened and disgusted, from these Christians. People in the world know that life is harder than that, and therefore they know that it is more decent to bear the bitterness of it without sugaring it over.